One of the many great things about professional sports are the microcosms and lessons which apply to life. The same is true for business, and as a marketing company, it’s fascinating to watch the contrasting styles of different organizations. As our company is based in South Florida, the two franchises most visible are the Miami Heat and Miami Dolphins. One of these franchises is perceived as first class – from the top down, beginning with the Arison family and Pat Riley. They demand excellence and value their fan-base. This #HeatNation Video encompasses their core values beautifully. And then, there are the Miami Dolphins. Their fan-base bleeds Aqua and Orange, but the organization works on an annual basis to bleed both their hearts and wallets dry. The marketing disaster explained below from this week is just the latest example of how the Miami Dolphins take advantage of their customers and continue to ride a wave of brand loyalty since the 1972 perfect season (which was 6 years before I was born). As is true in both life and business, if you go to the well too many times it runs dry. The wave of brand loyalty is very low on water these days. Similarly, DolFans (as Dolphins Fans are called here in South Florida) are already extremely thirsty for success, with only 1 playoff appearance since 2001, which was the year Matt Cassel played the majority of the games for the injured Tom Brady. Hopefully the Dolphins will take a concept from that division rival, Steal a message from Bill Gates’ Playbook and “Make Their Most Unhappy Customers Their Greatest Source of Learning“. When you are required to buy both pre-season games in 2015, the cost per ticket on average after losing one of the best games of the year (Jets @ Home), is 97% of the average paid for the 9 home games. Conversely, when we have to credit a pre-season game in 2016, we will only be crediting your account for 40% of the average season ticket membership price. The situation is compounded when you consider the Jets Home games for 2015 and 2016. When the game was playing in London last year the Dolphins had to credit this game, they valued it at 11.2% more than the average season ticket membership. This year when the customers are paying for this game it is valued at 13% more than the average, or an increased “Value” of 16% year over year. Wait,did the Jets bring Peyton Manning out of retirement? What could possibly make that game 16% more valuable in 2016 vs. 2015? Oh right, of course – the customers are paying for it in 2016. But for DolFans around the world, hopefully this uncovered atrocity speaks to the organization, and speaks loudly. Just how loud? With the same volume that #HeatNation brings, as they rise in unity during the playoffs. 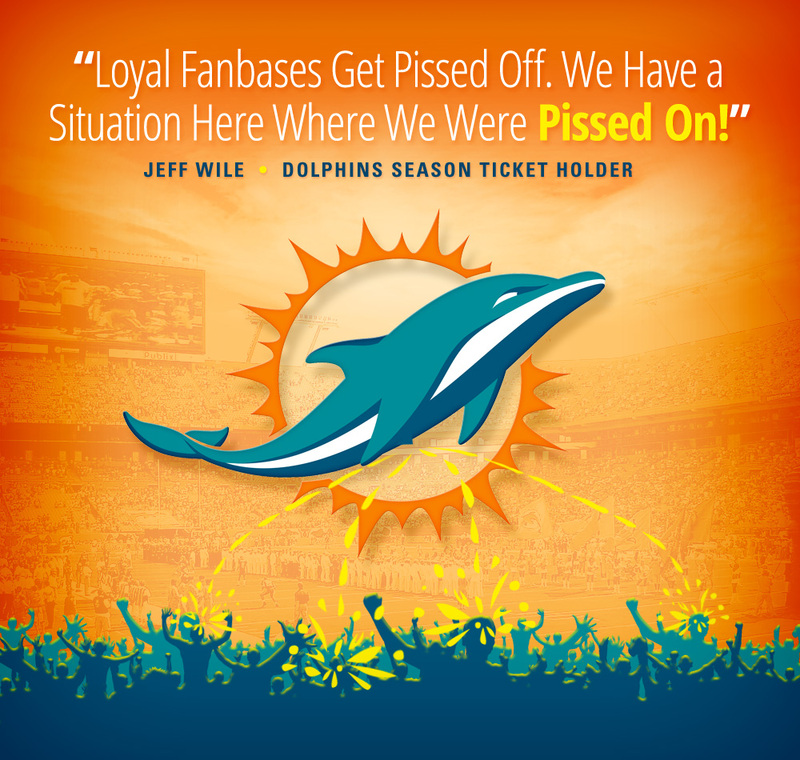 Unfortunately for DolFans, playoff tickets are not something that Dolphins management has the opportunity to mark up. Summer Marketing Intern – Rachel Degreef Happy Birthday to our Marketing Director!